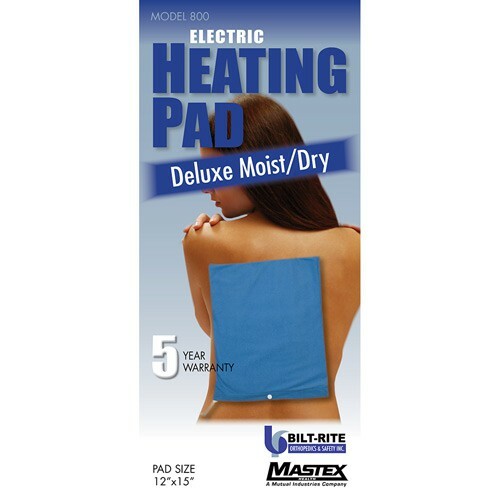 Medline Moist/Dry Heating Pad is an excellent and cost-effective solution to back and body aches, muscle spasms, cramps and other types of joint and muscle pain. This electrical pain relief pad has three heat settings to suit the needs of the patient, offering better healing and a smoother transition from low to high heat levels. The 12 x 15-inch pad is works well against any part of the body including the back, arms, legs, chest and other body parts. Lightweight and easy to use, the pad is comfortable and can be rolled up when not in use for easy storage.